About | Apex Mechanical Inc.
Our company has extensive experience in the service, design/engineering, estimating, sales, installation and maintenance of all types of heating, ventilating and air conditioning systems for every type of commercial building. Our company specializes in architectural sheet metal paneling, custom sheet metal fabrication, metal roofs, copper-aluminum-stainless steel cladding, expansion assemblies in addition to other mechanical and sheet metal solutions. With our full-line service team, you can be assured that your business needs will be met with prompt and professional service 24 hours a day, 7 days a week. We specialize in troubleshooting existing systems and providing scheduled maintenance for greater operating efficiency and economy. 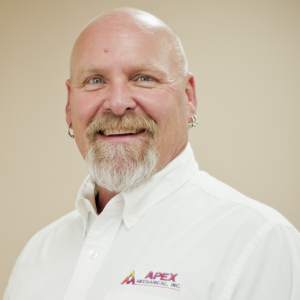 As President of Apex Mechanical, Inc., Daniel oversees strategic planning, coordinates design, and project management. 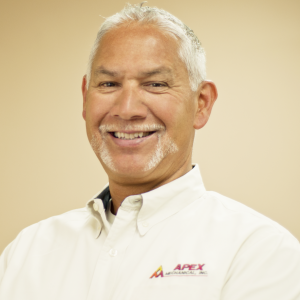 It is Daniel’s dedication, leadership and commitment to delivering quality and value that has led to Apex’s strong building performance throughout the years. 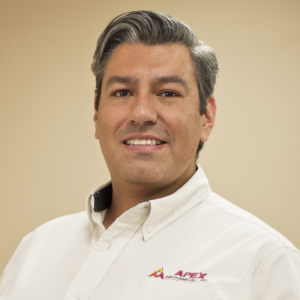 As Executive Project Manager, Tizoc is responsible for project planning, estimates and generating proposals. He oversees operations in all facets, managing all projects to completion. Tizoc’s approach is to provide strategic direction for the company and to ensure a strong financial performance. 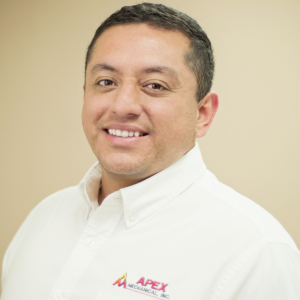 He is customer-service driven and focuses on mechanical services, HVAC, and energy efficiency based projects. As the Chief Estimator, Israel is responsible for pre-construction project management, estimating, and building relationship with local general contractors. Israel’s primary role is providing budgets for design build based projects. As the Service Manager, Joel’s primary role is estimating, project management, and negotiating mechanical service contracts. His experience includes account service, preventative maintenance, and HVAC installation. As the General Foreman, Bryan has hands-on experience with all phases of the plumbing and piping industry. Bryan’s multi-faceted jobs include: tenant improvements, multiple unit replacements, chiller replacements, and boiler replacements.